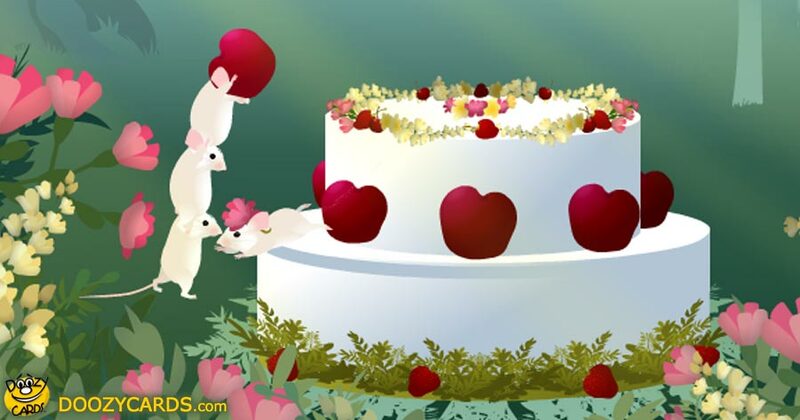 Nothing like bringing some of Mother Nature's picturesque beauty in this birthday cake e card. And peppered with a little humor of course! Well... explosive humor to say the least! And one would not know when immersed in a beautiful forest filled with greenery, delightful flowers and a few of its smaller & sweeter inhabitants. Now watching this funny ecard, I am reminded of the movie "Ratatouille"! In a different setting of course, not in a restaurant kitchen. But the mice and birds efforts are as inspired and so cute and that cake! Another one I would love to have a taste but! Too late... it is gone! Send this birthday cake e card to a loved one today.